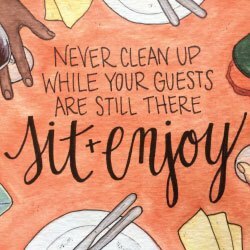 Has this been said to you? Perhaps you were scrunching up your face in disgust as your parent or caretaker used the health angle to get you to eat something green already. Appealing to a person’s desire to be healthy isn’t just a tactic employed at the home dining table; it’s used by food companies and media all the time. While most common vegetables have been eaten by humans since before recorded history, broccoli is pretty new. It got its start in Italy, spread to the rest of Europe by the 16th century, and then to North America later in the 18th century. Upon initial introduction in England, it was called ‘sprout colli-flower’ or ‘Italian asparagus’ (which makes me giggle). 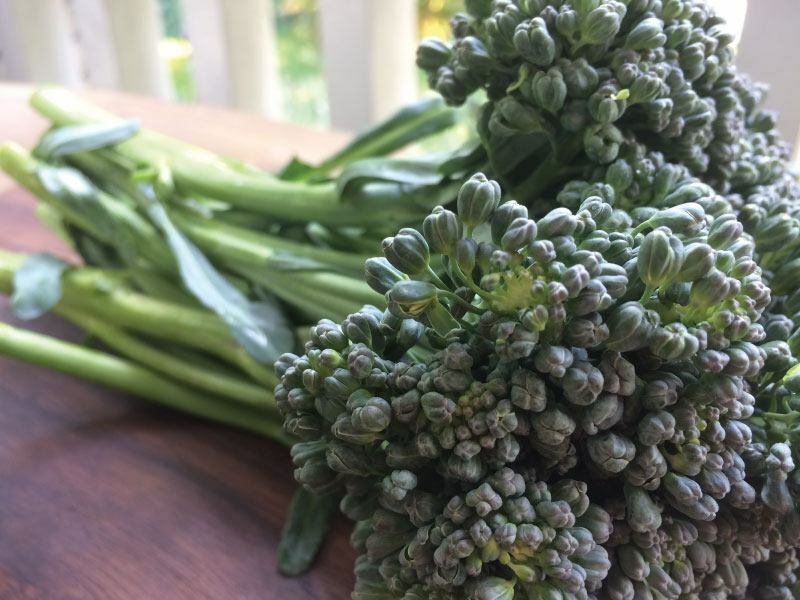 In Italian, the word ‘broccoli’ comes from the singular ‘broccolo’ which means ‘sprouts’ or ‘shoots.’ That’s fitting, considering the florets are made up of small, round buds that didn’t quite make it to the flower stage. It belongs to the brassica family (aka the cabbage family or crucifers), alongside cauliflower, Brussels sprouts, cabbage, radishes, kohlrabi, kale, bok choy, arugula, and mustard greens. 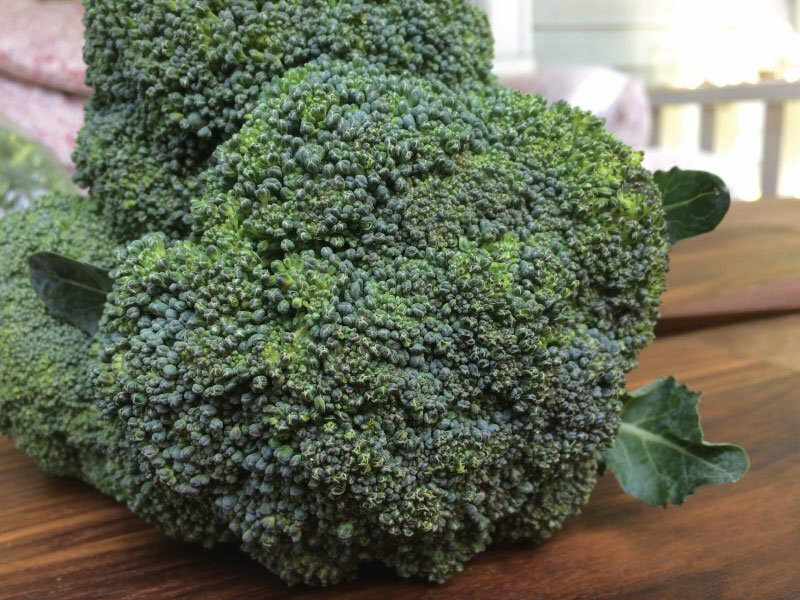 There are three categories of broccoli: sprouting broccoli, which you see in the spring after overwintering; calabrese, the main type that’s ready in summer and named for the Italian province of Calabria; and romanesco, the mesmerizing, light green geometric broccoli. Broccoli and its siblings “stockpile two kinds of defensive chemicals in their tissues…when the plant’s cells are damaged, the two stockpiles are mixed, and the enzymes start a chain of reactions that generate bitter, pungent, and strong-smelling compounds,” writes Harold McGee in On Food and Cooking. When broccoli is cooked for too long, the cell walls break down, releasing sulfur compounds (read: an unpleasant smell). Boiling broccoli past the point of cooked seemed to be a standard North American method for quite some time. Now, it seems like we’re catching onto cooking techniques like roasting or sautéing that caramelize the veggies and leave them pleasantly crunchy (and sans bad smell). This could explain why many parents who had such a hard time getting kids to eat broccoli or Brussels sprouts are watching those same kids now drool over brassicas. What to plant. You can either sow seeds directly or transplant starts. If you’re using seeds, add 10 days to the “date to maturity” estimations. When choosing a variety, you can opt for early season or mid-season plants. Go with a blend of the two if you’d like to extend the season. The Calabrese variety is probably most familiar. There are many other types with varying head shapes and sizes, stalk tenderness, and side shoot production, so it could be fun to try something new. Where to plant. Your plants will enjoy full sun, though they’ll tolerate partial shade if need be. Find a spot with moist soil that’s well-drained. How to plant. Work in 2-4 inches of compost or other organic matter to your soil; broccoli thrives on rich soil. Plant seeds 1/2 inch deep or starts a bit deeper. Space the plants 12-24 inches apart; if you’re doing rows, space them 36 inches apart. Add mulch if desired to prevent weeds and keep the soil cool and moist. How to maintain. Water regularly (~1-1.5 inches per week) if the rain isn’t doing it for you. 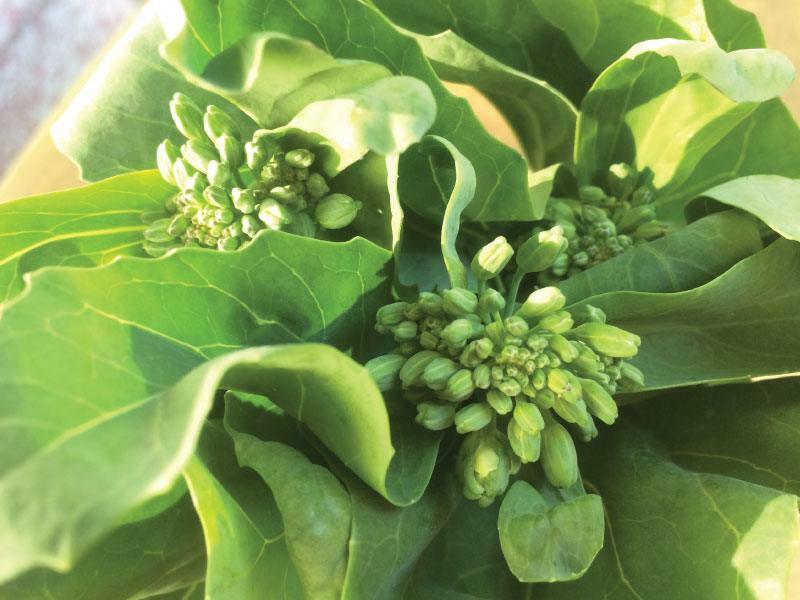 While some broccoli varieties have been bred to stand heat, they still need steady moisture. When watering, avoid getting the developing broccoli heads wet, if possible. How to harvest. Harvest broccoli when the buds of the head are still tight, around 65-70 days after planting. Morning is a great time to pick for best taste. Cut the stalk on an angle about 6-8 inches down from the main head (the stalks are crunchy and sweet—use them!). Any remaining side shoots will continue to grow, and you can harvest them later. If you see any buds opening up into yellow flowers, pick them right away, even if the head is small. Open buds lead to a mealy texture. How to store. Keep it in the refrigerator for a week, or cut, blanch, and freeze your broccoli for up to one year. 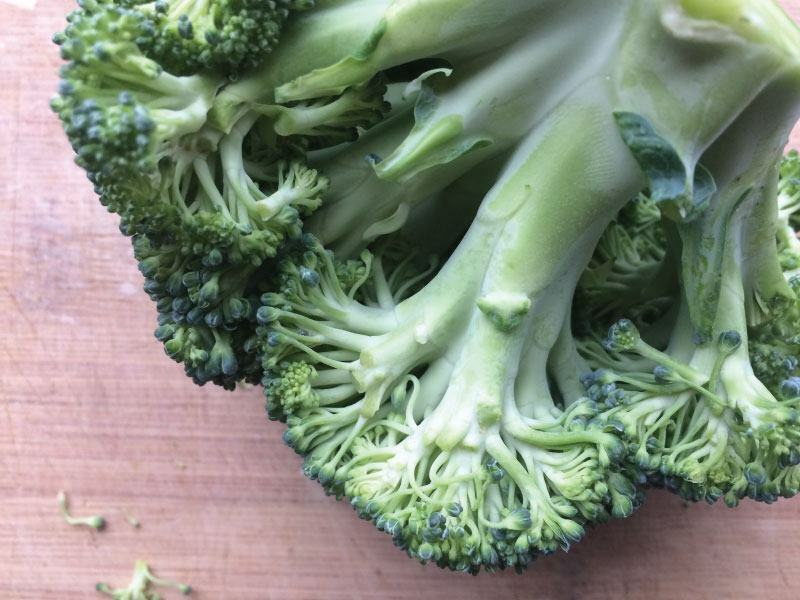 When I chose to write about broccoli this month, I wanted to know why the phrase “broccoli is good for you” was playing on repeat in my head. Why do we believe what we do about foods? Who and what shapes those beliefs? It’s no wonder feeding ourselves can be so. freaking. confusing. It’s as if Isaac Newton returned from the dead to offer a new law: for every food study, there is an equal and opposite food study. We’re tugged in all directions by these powerful forces and the pressure builds as each decision feels like life or death. But as much as this feels like a modern problem, it’s actually not. For as long as we’ve had choices about what to eat, we’ve also had anxiety about eating the ‘right’ thing. That makes us susceptible to questionable science. According to Sax, in the second century B.C., Chinese emperor Qin Shi Huang died after eating mercury pills given to him by his alchemist with the promise they would make him immortal. What is modern, though, is our focus on eating foods for weight loss and vitality. Broccoli fits right into all of this buzz. It packs a big nutritional punch, and, hey—it’s low in calories! I admit, I’m a skeptic. Yes, broccoli and its fellow superfoods are unarguably nutritious—I will not dispute that. What I wonder is why some foods rise to superdom while many equally nutritious foods go unnoticed. With similar wonderings, David Sax investigated the modern food studies that fuel trends. In one example, the company Unilever spent hundreds of thousands of dollars on a study to determine if their margarine brand Becel lowered cholesterol. If Unilever could convince eaters that their product would make them healthier, they’d surely pay a premium. This type of profit-driven science is common. It’s how many (most?) food studies come to be. These food studies aid our pursuit to eat “healthy” foods and avoid “unhealthy” foods. What does “healthy” mean? What if the same “healthy” walnuts nourish my body but land you in the hospital with a severe allergic reaction? We wield the word around as if it’s an absolute, universal truth. But this word is being stretched and pulled in all different directions by the latest studies, just like we are. 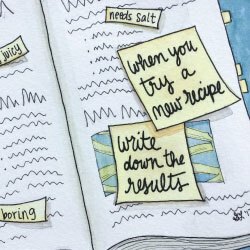 If the word “healthy” were a person, perhaps it would have as much anxiety about what to crown as the next perfect food as we do when staring at margarine and butter, trying to remember which one we’re supposed to want. We are healthy or not. Food is nutritious or not. This distinction makes a lot of sense to me. How does it feel for you? There’s a lot of noise out there. I know. I’m not above it. We’re all doing our best to find solid answers to our questions about what to eat. It’s my firm belief that we already have the answers. If we quiet the noise of fad diets and latest studies, and instead tune in to the connections with time-tested food traditions and the signals of our own bodies, we know exactly what we need to eat. For now and probably for the foreseeable future, the high winds of food studies will keep blowing. Anchor yourself in your own knowing. 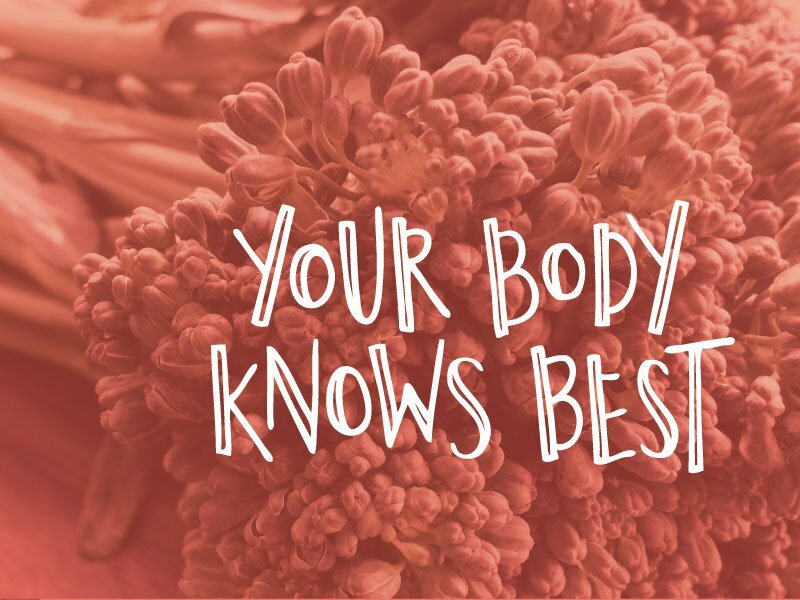 Our body knows what we need to eat. All we have to do is listen. Bring a pot of water to boil with a tablespoon of salt and 2-3 tbsp olive oil. 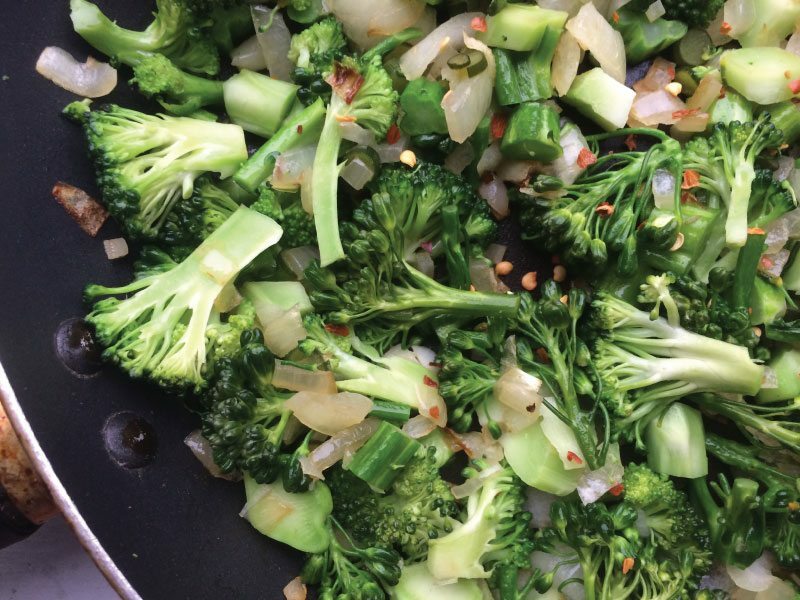 Wash broccoli and break off into large, easy-to-grab pieces. Par-boil the broccoli for 2-3 minutes. Strain; keep the water if your broccoli’s organic—it’s good to drink or cook with. Sprinkle salt and more olive oil onto the florets. On the side, mix 1 cup of labneh with a sprinkle of sea salt and drizzle of olive oil. 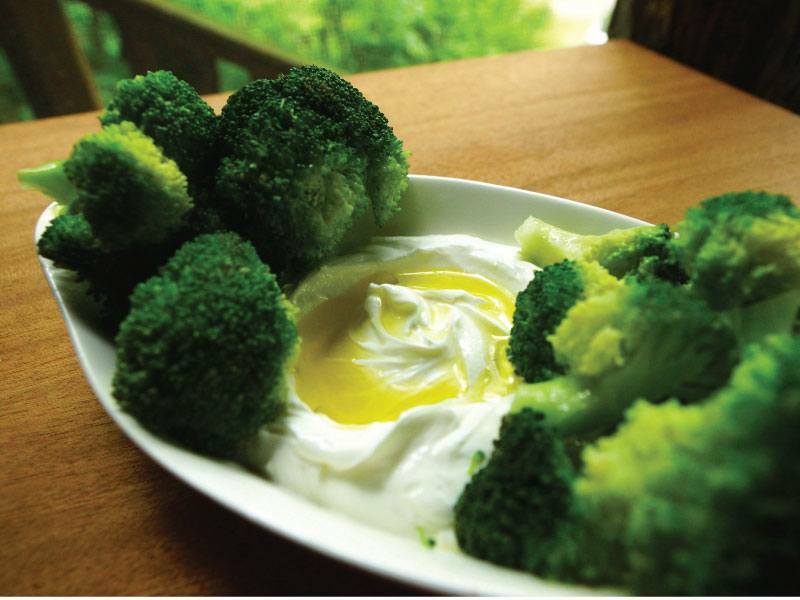 Grab a piece of broccoli by the stalk, dip in labneh, and enjoy. Let’s move past “healthy” food and find out what our bodies want and need. 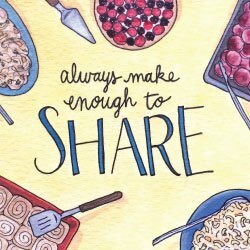 Food is personal. It’s situational. It’s biological. It’s cultural. I hope you find foods that fit you well. Velbekommen.